My sister helped out with the sweet treats for a friend’s “sunshine and giggles” 1st birthday party. When she was telling me about all of their fun ideas, I said, what about using golden Oreos in the cupcakes (like the ones you made last summer)? 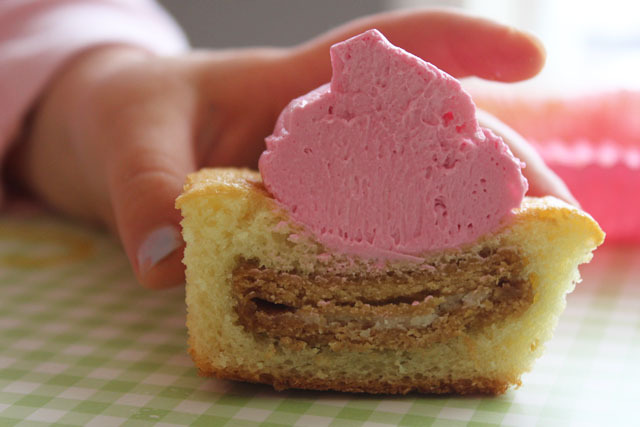 She did just that, using a french vanilla cake mix and the marshmallow fluff frosting recipe. So sunny and bright, just like this little girl’s smile: Happy Birthday, Lily! Seriously, there are GOLDEN Oreos? Haven’t seen them over here in the UK as yet. *Jealous*. you said it. these definitely are sugarbombs. Golden Oreos are surprisingly tasty… and can you believe it, my sister actually prefers them over regular Oreos! I can’t wait to try out this cupcake. I also prefer the Golden Oreo over the chocolate ones. These are really cute and look really good. I really like the creative ideas on your blog! thanks for visiting… hopefully there will be more ideas to come! 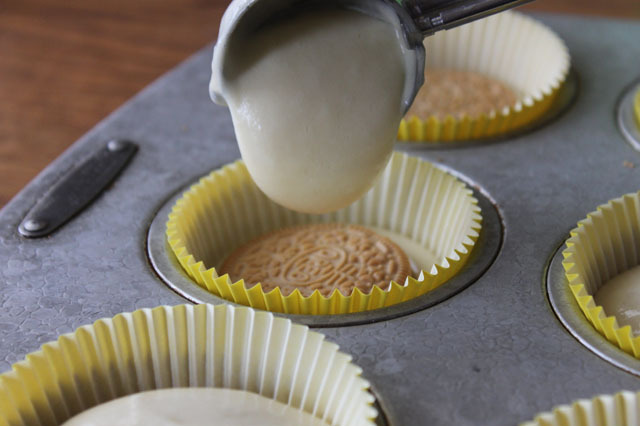 Wow, I don’t remember the last time I had a golden oreo… Now I really want to make these cupcakes! Really pleased we stumbled across you blog – your photographs are amazing! 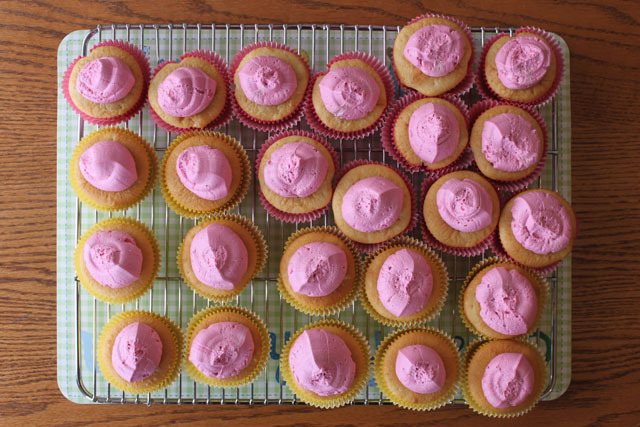 We will have to try these cup cakes and get back to you! so glad you stumbled 🙂 let me know what you come up with! 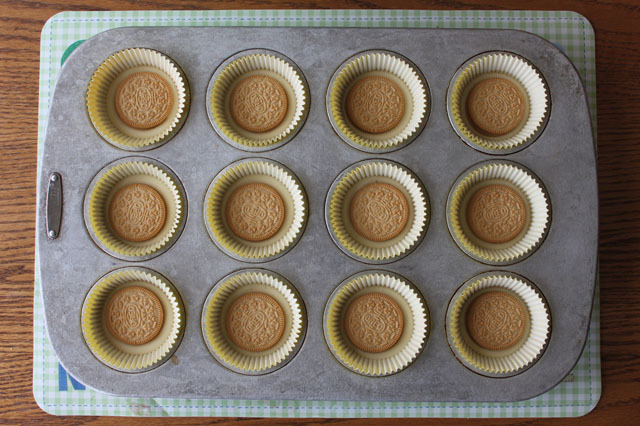 Because I am a closet golden Oreo hoarder, I think you rule the cupcake roost! you said it!! would be the best thing to sneak inside of my double-choco cupcakes with peanut butter buttercream! I’m just going through your blog. Gosh I love ever single recipe I’ve seen so far! If only I had enough time in the world this week, I would try all of your recipes. But maybe it’s a good thing I don’t have that much time because if I made all these and ate them I would most likely go into a food coma! Ha! Loving your blog!